The Wauwinet, the only Relais & Châteaux property on Nantucket has been named one of the top five resorts and inns in the U.S. and Canada for World’s Best Service by the readers of Travel + Leisure. With an overall score of 97.33, The Wauwinet was the only Inn on the east coast on the top five list. Rankings were based on reader evaluations collected in Travel + Leisure’s World’s Best Awards survey. No stranger to accolades, The Wauwinet has been recognized in Travel + Leisure’s Top 500 hotels and in Conde Nast Traveler’s US Top 50 Small Hotels. In-house restaurant TOPPER’S has been honored with the Wine Spectator Grand Award, the publication’s highest honor, for 15 years running and is rated the best overall restaurant on Nantucket by Zagat. 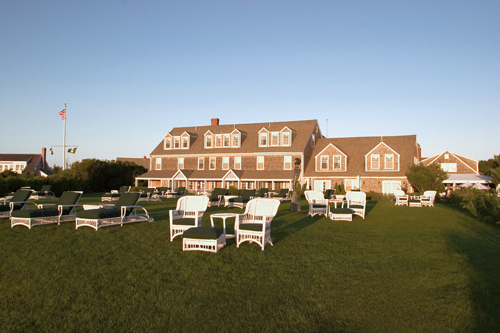 The Wauwinet is open for the season with Hot Dates, Cool Rates starting at $195 per night. For more information visit www.wauwinet.com or call 800.248.2405 or 508.228.2400. NEW ESPA at D-Hotel, Maris, Turkey ESPA has opened its newest spa at the beautiful D-Hotel Maris, set on a hillside in the Datca Peninsula nature preserve in Turkey. Famous for having the third highest concentration level of oxygen in the world, the Datca Peninsula is said to have natural healing properties that date back to the 12th Century BC and was once a sacred place of pilgrimage to the legendary Aphrodite of Knidos. The peaceful enclave is surrounded by pine forests, natural private beaches, small islands, and volcanic mountains with spectacular views of both the Aegean and Mediterranean Seas. The hotel’s design combines the exotic elements of the East with the modernity of the West, and this is reflected throughout the ESPA spa at D-Hotel Maris. Memorial Day is generally viewed as a day off from school or work and an excuse to hit the beach. But for war veterans and their families the day carries a more important significance. For them, the holiday is about honoring fallen soldiers and Crystal Cruises aims to do the same. While Crystal recently introduced regular veterans’ get-togethers onboard Crystal Serenity and Crystal Symphony, passengers sailing during Memorial Day weekend will be treated to a slew of extra special activities. The activities vary from ship to ship but are equally commemorative. The activities will allow guests to honor soldiers in a variety of ways, ranging from open forums and poetry dedications to memorial ceremonies and shore excursions at various war-related sites. The events will be led by either four-star Marine General Anthony Zinni, former Commander in Chief of U.S. General Command or foreign policy author Dr. Robert Freedman. There’s nothing wrong with spending the next few days indulging with friends and family but we encourage you to take a few moments and commemorate our soldiers. Opening in June, Anantara Hotels, Resorts & Spas will welcome the brand’s first city hotel in the Middle East, Eastern Mangroves Hotel & Spa by Anantara. Located along a three-quarter mile stretch of Abu Dhabi’s protected Eastern Mangroves District, the hotel will be home to the United Arab Emirates’ largest Hammam and VIP suite, The Royal Mangroves Residence. A quiet retreat from the bustle of the city center, this new luxury five-star hotel will be an integrated hotel, marina, retail, and residential destination, offering stunning views of the lush mangroves that surround the area. The hotel will feature 222 guest rooms and suites; three restaurants and bars, including a Thai specialty restaurant and a rooftop lounge with Technicolor LED roofline; a luxury spa with a traditional Arabic Hammam; a ballroom; and state-of-the-art conference facilities. Accommodation options vary from the Deluxe Balcony rooms to the Royal Mangroves Residence. All rooms are spacious and outfitted with the latest in modern technology, including in-room entertainment systems and WiFi. Interconnecting rooms are available on every floor, with connecting doors from the corridors to provide additional privacy. The luxurious Royal Mangroves Residence, touted as the largest VIP suite in Abu Dhabi, offers a lavish but residential feel with room configurations of three to seven en-suite guest rooms that can be modified depending on guests’ requirements. The Residence also features a rooftop terrace overlooking the mangroves, a 33-foot swimming pool, a rooftop BBQ entertaining area, a private gym and a dedicated private entrance. Guests will also have access to a private limousine service, chef, butler, massage therapist, and beauty therapist during their stay. The Anantara Spa at Eastern Mangroves will be home to the largest traditional Arabic Hammam in Abu Dhabi, totaling an impressive 1,420 square feet. 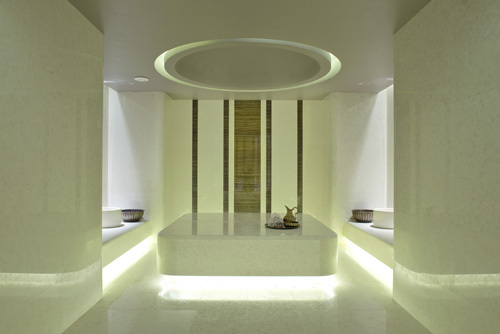 The exclusive spa will also feature ten treatment rooms and separate lobbies and check-in areas for men and women. Ideal for corporate meetings and social functions, Eastern Mangroves will offer state-of-the-art conference and catering facilities, including a banquet and bridal consultation office, with a ballroom capacity for 320 guests seated banquet style, plus five dedicated and fully equipped breakout and board rooms with a VIP majlis, a traditional Arabic meeting place. Roy Lichtenstein’s pieces are some of the most iconic productions of the Pop Art era and as such have spawned innumerous reproductions. However, the mass-produced prints hung up in homes around the world are incomparable to their original counterparts. Much of his art shares an aesthetic DNA but not all of his work includes images of the comic characters he’s so often associated with. “Roy Lichtenstein: A Retrospective,” the art exhibit opening today at The Art Institute of Chicago, hopes to showcase all facets of his lifework. The Chicago exhibit will run until September 3rd after which, it will visit the National Gallery of Art in Washington, D.C., Tate Modern in London, and Centre Pompidou in Paris. This rare experience combined with the plethora of locale choices provides art aficionados with the perfect excuse to travel. 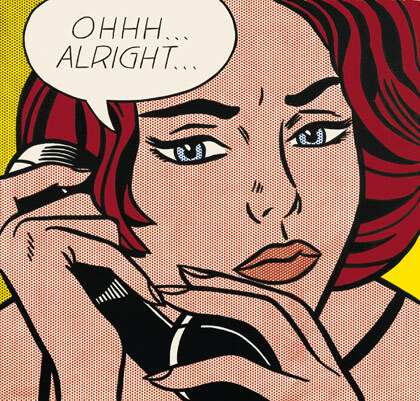 Never been to the Navy Pier, the White House, the Eiffel Tower, or Buckingham palace and you love Lichtenstein? Well, now is the perfect opportunity to cross these items off your bucket list — all the while staying in luxury at some of our favorite hotels. Check out our accommodation recommendations below. 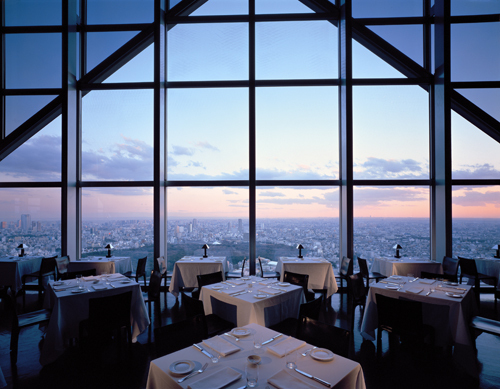 The perfect hotel for art enthusiasts in Chicago is the Park Hyatt Chicago. The Park Hyatt brand is known for its love of art, and after stepping through the entrance you will see why. The Park Hyatt DC is a mere five minute cab ride from the exhibit’s location making it the perfect choice. The Halkin’s state of the art amenities, impeccable service, and proximity to the Tate Modern make it an ideal option. Exercise your artistic inclinations even further by staying at Le Pavillon des Lettres, a literary themed hotel where each room is named after a different writer. What’s your specialty/signature in terms of your facials? My favorite facial treatment is Anantara’s Signature Facial. The sixty-minute treatment combines the perfect blend of nourishing plant extracts and traditional Thai ingredients to treat and revitalize the skin. A gentle massage induces a deep state of relaxation, while an herbal mask restores the natural balance of the skin. This facial treatment is one of the most popular treatments in many of our spas. What’s your overriding ethos when it comes to treating your clients? For me the first and foremost aspect that defines a perfect spa experience is to understand my guests’ individual needs and comfort zone, as many of these personal preferences are not verbally communicated. It is about finding balance through communication, observation, and experience, from establishing the perfect room temperature to the preferred pressure applied to the face or back, to ensuring that guests emerge feeling recharged and invigorated, or totally soothed and relaxed, whatever their desired goal. Who are your celebrity clients? Due to the exclusive nature of Anantara’s resorts in the Maldives I have been fortunate to meet and treat many celebrities and royalty, but my favorite guest by far is Wimbledon Champion, Roger Federer. Job: Also the Chief Concierge, Chettha has worked at the resort for 15 years and is always testing out new culinary recommendations. He has developed a Bangkok gastronomy hot list that is second to none, so guests can simply head straight for the best places instead of attempting to navigate the city’s overwhelming choices. Guests can even ask Chettha to accompany t hem on a tour to explore lesser known attractions in addition to famous sights. 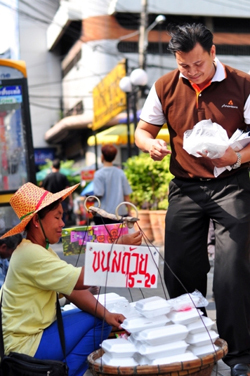 Fun fact: As a local food connoisseur, Chettha knows where to find the best sois teeming with food stalls like the back of his hand, and he can easily help hungry guests find the tastiest roasted duck noodles, BBQ pork noodles, fish ball noodles, and spicy tom yum soups.